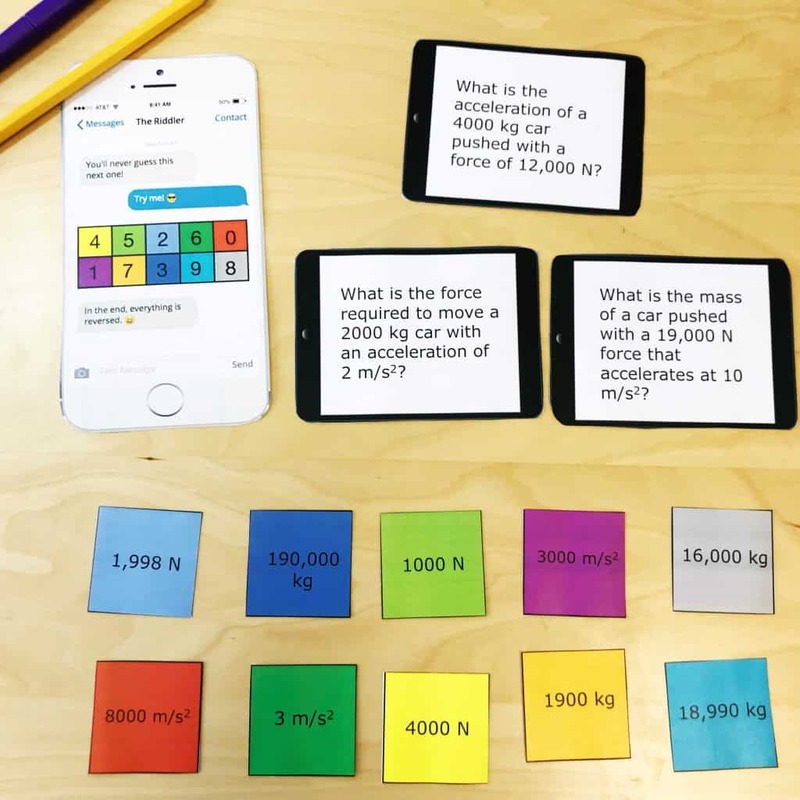 Immerse your students in a fun, engaging, learning experience with the Newton’s Laws Escape Room! We have created a unique experience that will leave a lasting, positive impression on your students. NGSS: MS PS 2-1: Apply Newton’s Third Law to design a solution to a problem involving the motion of two colliding objects. NGSS: MS PS 2-2: Plan an investigation to provide evidence that the change in an object’s motion depends on the sum of the forces on the object and the mass of the object. 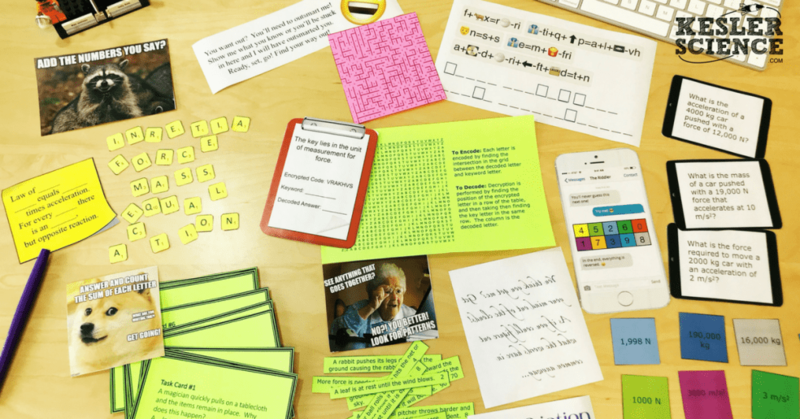 Students will need to be able to identify each of the three laws and apply them to real-world scenarios in order to be successful with this escape room. They will also need to know the following vocabulary before playing the game: inertia, force, mass, acceleration, and friction. After deciding how many puzzles to use, give each group a separate manila envelope. Using manilla envelopes is the least expensive option. You can also use locks and boxes. Locks are not required to run this escape room, but it can provide a more authentic experience. A lockout hasp will save you from needing to buy multiple boxes per group. 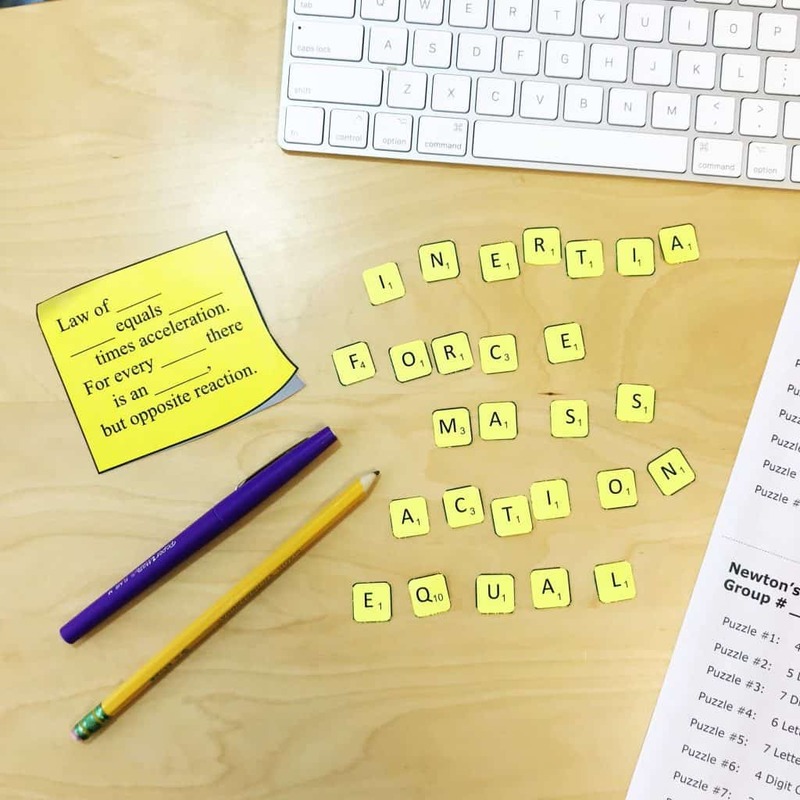 The teacher will check their codes by the students writing them down on the provided answer sheet, or use the digital lock using Google Forms. More details on how to use this electronically are provided. The escape room can be run several different ways. You can purchase the Newton’s Laws Escape Room here. 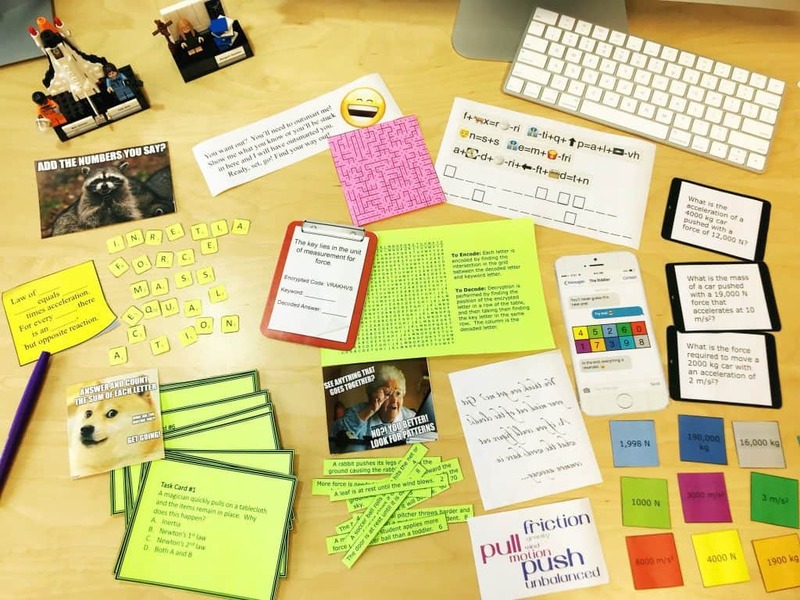 More science escape room products are being released. A completed bundle of 36 different escape rooms, covering a wide range of standards and concepts will be finished by August 2018. You can purchase the bundle at a 30% discount, and receive access to each escape room product as it is released!